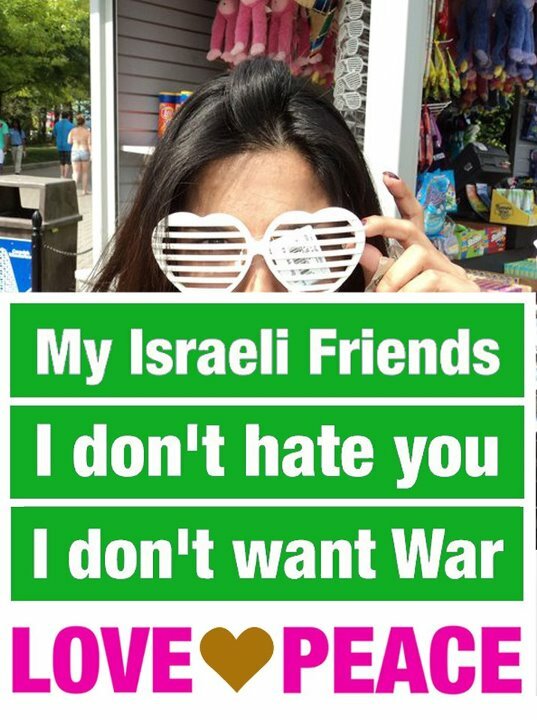 As war looms, ordinary Israelis and Iranians are taking to Facebook to spread messages of love. 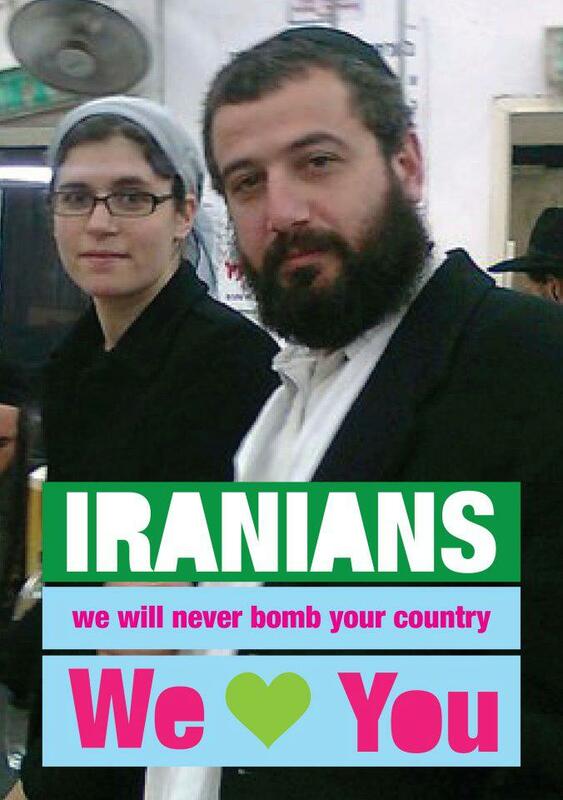 The Facebook group “Love and Peace,” started by Israeli graphic artist Ronny Edry and his wife, Michal Tamir, features photographs of Israelis with the message “”Iranians, we will never bomb your country, we [heart] you,” superimposed on top. Nearly 4,000 fans have flocked to the page since it launched on March 17—more than 1,000 a day. Edry has reached the other side. And it turns out Iranians don’t hate him, either. They began submitting their own photographs to the Israeli loves Iran Facebook group. “My Israeli Frinds. I don’t hate you. I don’t want war. Love Peace,” the message on many of those photographs read. Netanyahu has yet to post his own “Israel loves Iran” photograph on his Facebook page.